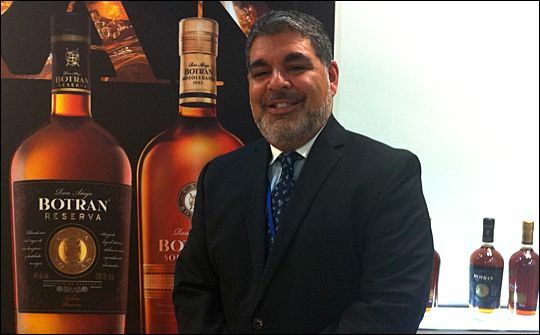 The Botran family has been crafting rums in Guatemala for over six decades, and they are involved in every detail of production. They cultivate the sugar cane, which is then pressed into the virgin sugar cane honey that forms the base of the rum. The virgin honey is fermented for 120 hours and then distilled through copper lined stills. It all started between 1911 and 1923 when five Botran brothers, sons of Andres Botran and Paula Merino De Botran left their native Spain where they ran a distillery, because they saw a golden opportunity – to distil rums in Guatemala, a country rich in sugar cane. Located in western Guatemala, the industry stands today as a living testimony of the Botran family's passion. The GI was developed by ANFAL, an independent group of Guatemalan spirit producers and manufacturers, and subsequently awarded by the Appellate Body of the Geographical Indication agency, which is charged with protecting consumer confidence as well as monitoring compliance with all processes required. Another seal, the Ron de Guatemala Geographical Indication Solera Classification, specifically covers aged rums. The Ron de Guatemala GI includes parameters for: the farms, on which climate and soil conditions must converge to favour the cultivation of special sugar cane varieties that are highly valued for their sugar concentration; the sugar mills, which must produce virgin sugar cane honey from the first pressing of ripe cane as the precursor to Guatemalan rums; and the distilleries, where slow fermentation must take place with specified yeast strains, and distillation must be in in column stills with copper sections. To bear the additional Ron de Guatemala Solera Classification, the rums must be aged using the specific, high-altitude Solera system. Now exporting over 388,000 liters p.a., Guatemalan Rum can be found in Belgium, the Czech Republic, the UK, France, Germany, Italy, Spain, Sweden, as well as Central America, the US, Mexico, and Peru. It is also available in global travel retail outlets. Every Guatemalan rum shows the Geographical Indication on the bottle, with some also identifying the type of aged rum within, according to the Ron de Guatemala GI Solera Classification. Ron Añejo Botran Reserva Blanca, Reserva, and Solera 1893 are covered by the Geographical Indication of Ron de Guatemala, with Ron Añejo Reserva and Solera additionally carrying the Ron de Guatemala GI Solera Classification.